After a hectic work day, a good night sleep is very important and for a good sleep, you need a good mattress that suits your comfort levels. If you don’t have good mattresses, then you my friend can get in trouble. Problems such as backaches in the morning when you wake up or disk related issues are likely to arise. Previously, many people used to say that there is no mattress that is suitable for each and everyone. But now this can all be changed with the Wakefit orthopedic memory foam mattress. I have been using this mattress since the past 2 weeks and I will be sharing my honest and unbiased personal experience with you guys in this article. Most people, including me, start off by wondering how a huge and heavy mattress is shipped all over India. However, my friends, Wakefit can fit an 8-inch King Size (72 x 72 inch) mattress into a tiny box, which is probably slimmer than you. Take a look at the picture given below. Overall, the packaging is fantastic, showing how technologically strong the product is. The mattress also regains the original shape once you unpack it. Wakefit orthopedic mattress is completely made from foam and there is no spring inside. But in this section, we talk about cover quality in which you will receive the mattress. The cover is made out of high-quality breathable cotton fabric, which not only provides adequate protection to the mattress but also enhances its appearance. There are a lot of experts who say that sleeping on a hard mattress is good for your body. You can share this article with them, for reference. 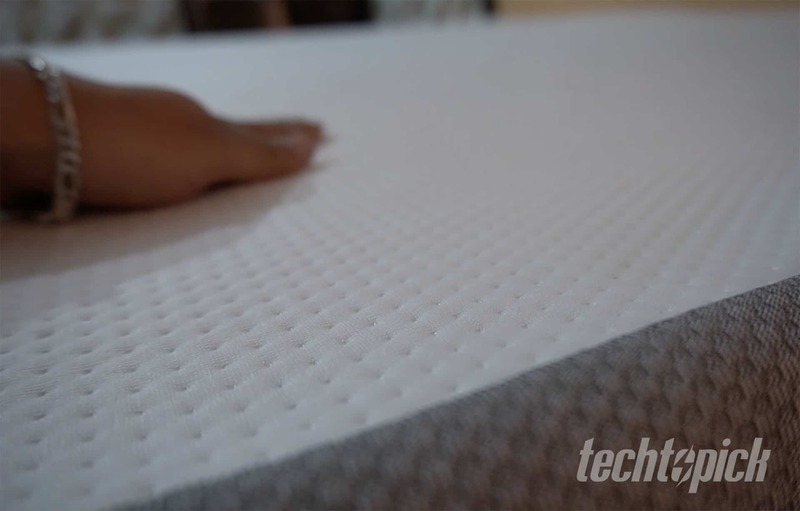 This mattress is made out of 4 layers; Wakefit orthopedic mattress has a thin layer of breathable fabric on the top and below we have coolfit cool foam, In the middle, it has next-gen memory foam which takes shape according to your body and at the bottom, we have high resiliency support foam which makes the mattress sturdy. There are various reasons as to why one should go for Wakefit orthopedic mattress instead of any other matters in the market. It takes the shape of your body due to its memory foam technology Body weight is uniformly distributed on the mattress. The main reason I bought this mattress is due to my mother. She had pain in her back due to muscle stiffness and the doctor suggest that she should get good matters. 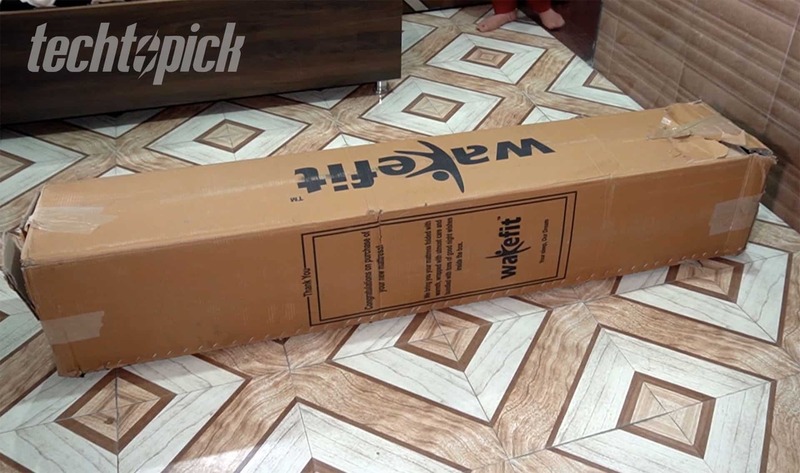 Hence, I found Wakefit orthopedic mattress online and ordered one. After using it for two weeks my mother told me that she was feeling much better and her back pain had reduced a lot, almost by 90%. This was because the mattresses provides support to the entire body as it adjusts according to your body shape. Thanks to the coolfit layer on top, you never ever see sweat in long sleeping hours. These mattresses are not super comfy like a hotel style matters or not super hard, which makes this mattress ideal for all. Overall these mattress provides excellent support to your back and neck to ensures you get a peaceful and restful deep sleep and I highly recommend it to anyone looking for the best mattress in India. If you still have any questions, let me know in the comments below and if you like this article, then do share it with your friends who are looking for a new mattress. If your budget is under 20K and looking for a mattress which support your full body and offers little bit hotel style mattress comfort then Wakefit Orthopedic Memory Foam Mattress is for you.